This power meter protocol was originated in June 1987 in Nashville, Tennessee. BACnet was created by the Standard Project Committee to start a standard for controlling various forms of computer automated building devices. The idea here was to create a unified language that would unite all automated system management. When it was implemented, it leveraged ASHRAE, ANSI, and ISO 16485-5 protocol methods into one unified process. BACnet also includes a variety of services, including such programs like Who-Is, I-Am, Who-Has, and I-Have. These programs are used for Device and Object discovery purposes. For example, Who-Is identifies the person controlling the device, while I-Am identifies the building program and gives it an easy-to-understand identity. How Does BACnet Benefit You? BACnet unites the operation of various automated building devices, including power meters and current transducers, by creating a standard that they all must follow. These power meter protocol standards cover every possible aspect of meter rules. For example, it identifies the cables used in meters, the type of voltage they measure, the amount of voltage measured, and other elements unique to that item. Standardization also covers all binary inputs and outputs, control loops, schedules, alarms, and the messages sent by the device. There are currently 35 different messages covered by this protocol. They are then broken down into five categories. Listing them all here and describing them in detail would take up too much room. However, by creating a unified language, this control protocol helps standardize your automated building control systems. 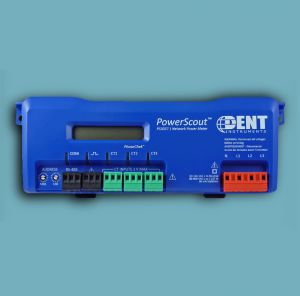 For example, by using a power meter and current transducers that are compatible with BACnet, users can actively monitor power usage and set predetermined limits on usage. When these predetermined limits are reached, building automation can be set to turn off devices (i.e. climate control systems, non-essential processes or any number of things). By shutting down certain devices/processes building managers can keep power usage at a level that will ensure savings year-round. In What Ways Can You Use It? When using this protocol system, you are creating a unified form of communication between your various automated building devices. It can also be integrated into various pieces of software as a way of controlling these items. For example, it recently integrated LonTalk into its control network. This protocol is designed to connect network devices over fiber optics and even power lines. While the language of many of these pieces of software may differ slightly from that of this protocol system, it can still be used to unify their various control methods. How? Programs that are compatible with it take into account its unique programming language and either match it or create one that can be adjusted to work with it. For example, LonTalk uses a slightly different language and needs to be adapted before it can be fully integrated. That adaptation uses a language converter that helps translate the various commands and messages between the two systems. Other software programs work in a similar way to create a unified way of managing your automated building controls. By having a simple and uniform series of messages, it is easier to build automated systems that can communicate with each other and keep your buildings running smoothly. By using this powerful protocol for your automated buildings, you create a standard language that makes your operation that much easier. Just think of the benefits that would arise if the whole world spoke the same language. There would be fewer misunderstandings and less conflict. Think of this automation protocol in the same way. By making sure that your building automation controls all operations with a similar language, it decreases the chance of serious mistakes and problems that could disrupt your building process. It also makes it easier to adapt your operation to buildings owned by others near you. Aim Dynamics offers several meters that utilize BACnet. You can learn more about the meters we carry here.